At least one half of the Pittsburgh WGATJs crew really likes this! I like white chocolate, and I liked this. It almost (not quite) erased the unfortunate memory of the matcha green tea white chocolate from my taste buds. Also, there are no gluten ingredients in the cookie crumbs, if that's important to anyone :) other than me! Thanks for pointing that out,KeriL. Yay for rice and potato flour! I found it "ok" even the 10 year old I got it for found it "just ok". It's better than some white chocolate- which can leave a weird film in your mouth. I know it's not fair to judge something for what it's not but I just wish it was white chocolate with Joe Joe's (Oreos) pieces. 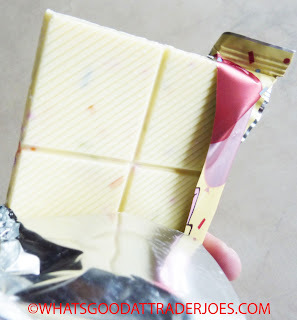 LOL -I really wish people would stop saying white chocolate is chocolate. It is not chocolate. At best it is a chocolate derivative. 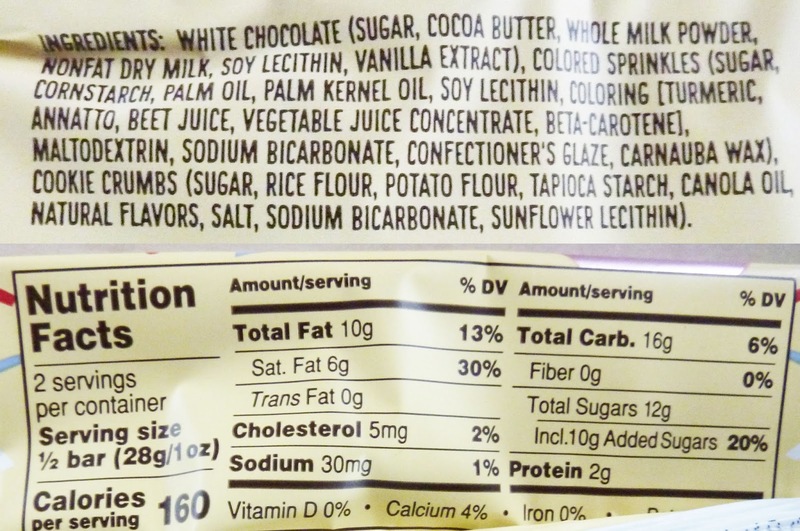 It does not contain chocolate solids. 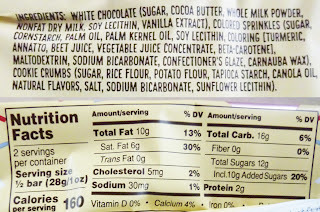 It contains cocoa butter, sugar, lecithin and milk solids. It should be called a chocolate confection. It's not even candy. Chocolate is not candy. I grew up on the East Coast and Europe. Chocolate was one thing and candy was entirely another thing. Unfortunately this is not sound appealing to me at all. I love good white chocolate, not confection. 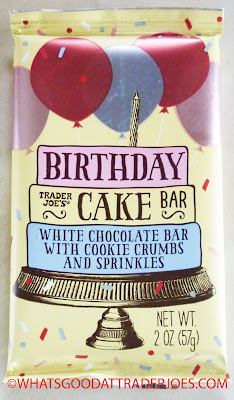 I love Birthday cake flavoureed stuff, but I don't love plain chocolate bars I'm also cheap... hmmm, dilemma!